I’m still feelin’ fuzzy writing this post. It’s one of those feelings when you feel so light like the white clouds floating in the sky, you know why? 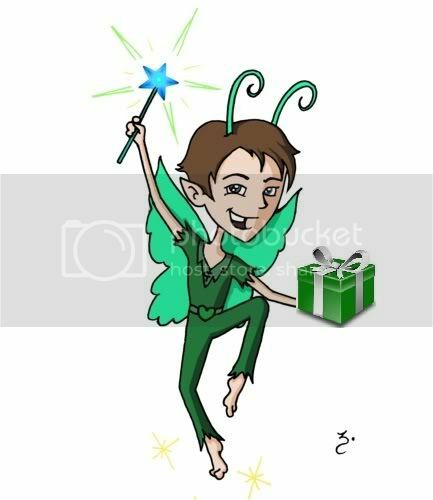 Fairyhobmother, one of the coolest fairies in blogolandia has dropped by my blog and made my wishes come true. It’s just so great I did not let go of my personal mantra – that when you believe in something it makes it so. I’ve been hopeful that he’ll come and make this woman happy; Fairyhobmother did not just make this woman happy, he made me the happiest. Now, I have all the reason to celebrate, I’m a step away to carting home a Ceramic Hob I’ve been dreaming for long at www.appliancesonline.co.uk. Thank you so much Fairyhobmother. If you blog, now it’s your turn, why not leave your wishes to Fairyhobmother in the comment section below and be the next happiest woman ever. He’ll reward those who believe and work hard to make their wishes come true.Good Luck ladies! Your so lucky mommy because the fairy hobmother have already granted your wish, can you tell him to grant my wish too by visiting to my blogs? :)..
Lucky you, Mommy! Hope Fairy Hobmother will also visit my blogs. I wish I would have the same luck as you.. congratulations..